This topic contains 0 replies, has 1 voice, and was last updated by Robin C 6 years, 2 months ago. 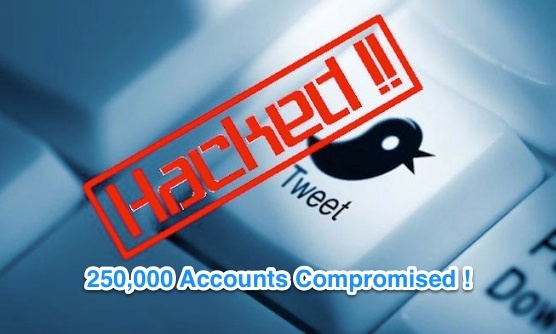 Yesterday, twitter got hacked and 250,000 accounts has been compromised. It is time to change your twitter account password to make sure to not loose your account. Twitter said to media, that approximately 250,000 user accounts may have been affected with the recent hack, where hackers may gain access to usernames, email addresses, session tokens and encrypted version of passwords as well. Which is totally not a good news to twitter users. So reset your password right away to something very strong (you may use strongpasswordgenerator.com) to get some random and strong password generated for you. It is also advisable to change your passwords at regular intervals to keep your web account safe and secure from hacking attempts and any other security threats.